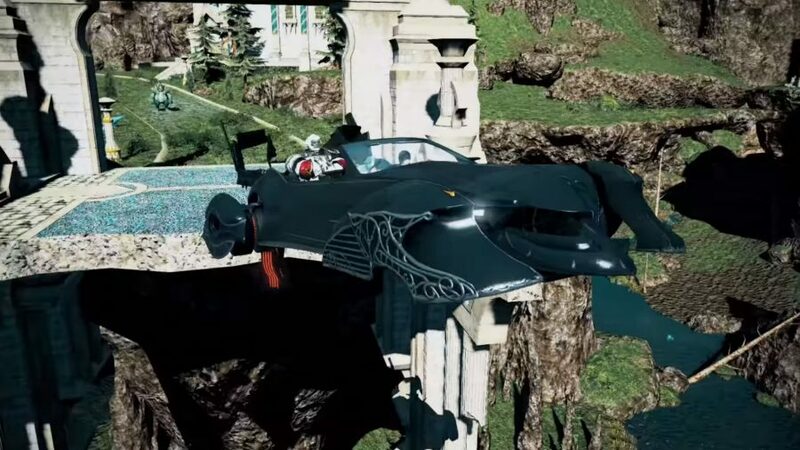 How do I get the Regalia mount in Final Fantasy 14? The Final Fantasy XIV and XV crossover event is now live in Square Enix’s excellent MMO, giving you the chance to sample some of the expansive open world of Eos in Eorzea. But, when it comes to this special FFXIV Noctis event, it might not be immediately clear to everybody how to get your exclusive rewards. In case you didn’t know, there’s more to your FFXV-themed rewards than just the FFXIV Regalia mount: there’s a special haircut and a Noctis-inspired card for Triple Triad. Even better, the Regalia is a four-person mount, and you can call shotgun when it’s your trip. However, you will need a combined 230K MGP – the currency exclusive to the Manderville Gold Saucer. The trouble is that A Nocturne For Heroes is a seasonal collaboration event which expires on May 27, 2019 at 14:59 GMT (9:59 ET / 6:59 PT), but we can’t rule out the event extending beyond this date – so make use of our FFXIV leveling guide if you’re not level 50 yet. This means you might well have some extra MGP grinding to do, so we’re going to show where the FFXIV Regalia mount is, and the most efficient way of unlocking it. Once you’ve completed the quests pertaining to A Nocturne For Heroes, you’ll find that the Regalia is sold by the Ironworks Vendor – they’re opposite the Mini Cactpot Broker behind the main counter of The Gold Saucer (5-6) in the Thanalan region. You’ll need 200L MGP, 20K, and 10K for the Regalia, Lucian Locks hairstyle, and Noctis Lucis Caelum Card, respectively. If you’re short on MGP, don’t fear. As this handy Reddit guide from u/MysteriousRyan shows, there are plenty of ways to rack up this exclusive currency quickly. That includes completing everything Manderville Gold Saucer-related in your Challenge Log – which you can acquire by completing the level 15 sidequest ‘Rising to the Challenge’ (X11,Y10) – completing weekly fashion reports, and by ticking off three Mini Cactpots each day. And there you have it, that’s how to get the FFXIV Regalia mount once you’ve finished the A Nocturne For Heroes collaboration event with Final Fantasy XV. And, since you’re here, you’ll likely be interested in Final Fantasy 14’s upcoming third expansion, Shadowbringers. So, here’s more on the new FFXIV Dancer Job and the Gunbreaker Job. And, in the meantime, be sure to have fun, and stick to the speed limit.